Availability: Expected to be available May 24, 2019. Subject to change. Pre-order now! 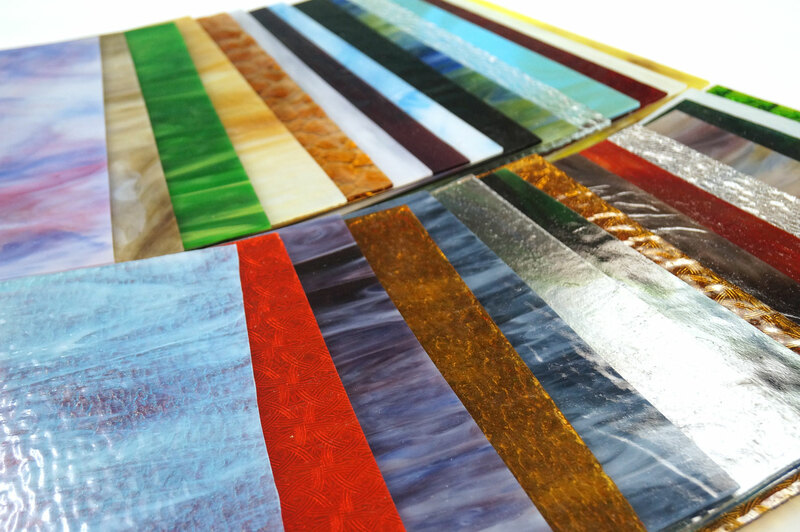 An amazing assortment of glass! 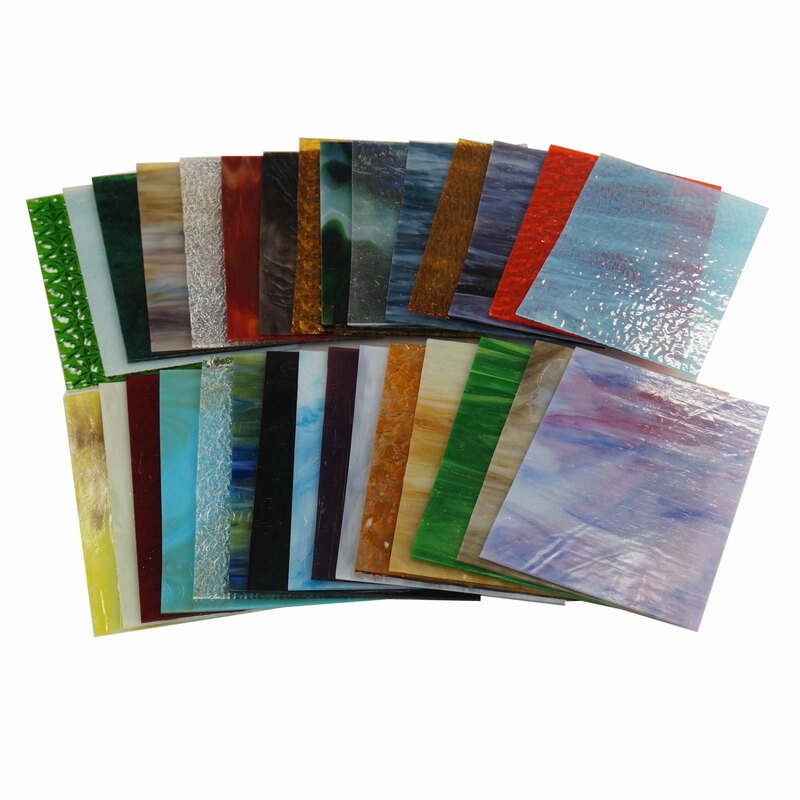 Receive a stunning mix of stained glass colors, textures and transparencies all in one pack. 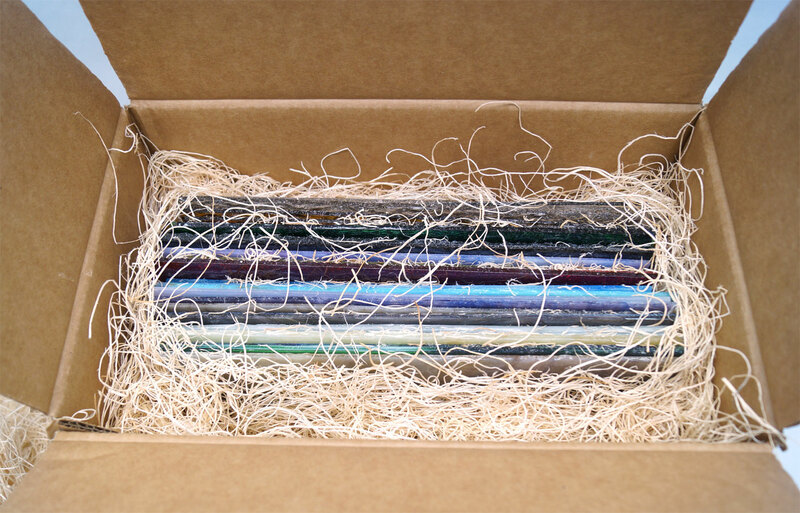 Pup pack includes 30 pieces of 8" x 12" glass. 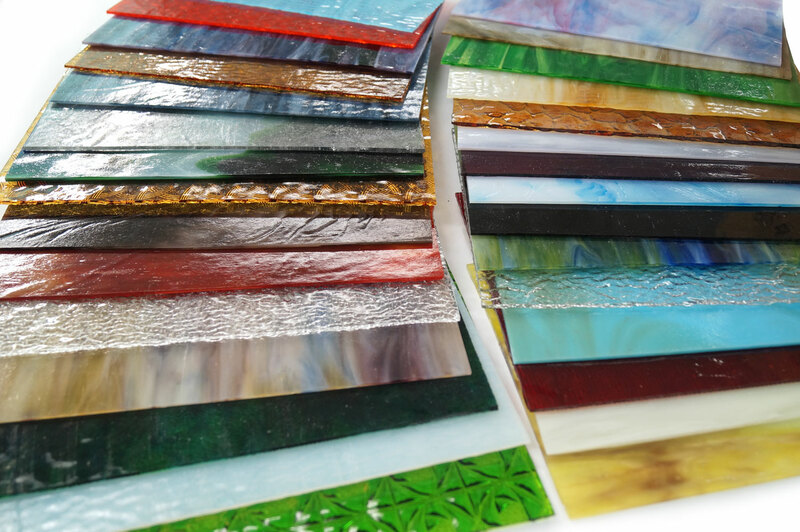 Create with the same high-quality glass used by Louis Tiffany. Kokomo Opalescent Glass is still made in America. It is produced in Kokomo, Indiana just as it has been for 120 years. There are no extra boxing charges for glass packs. 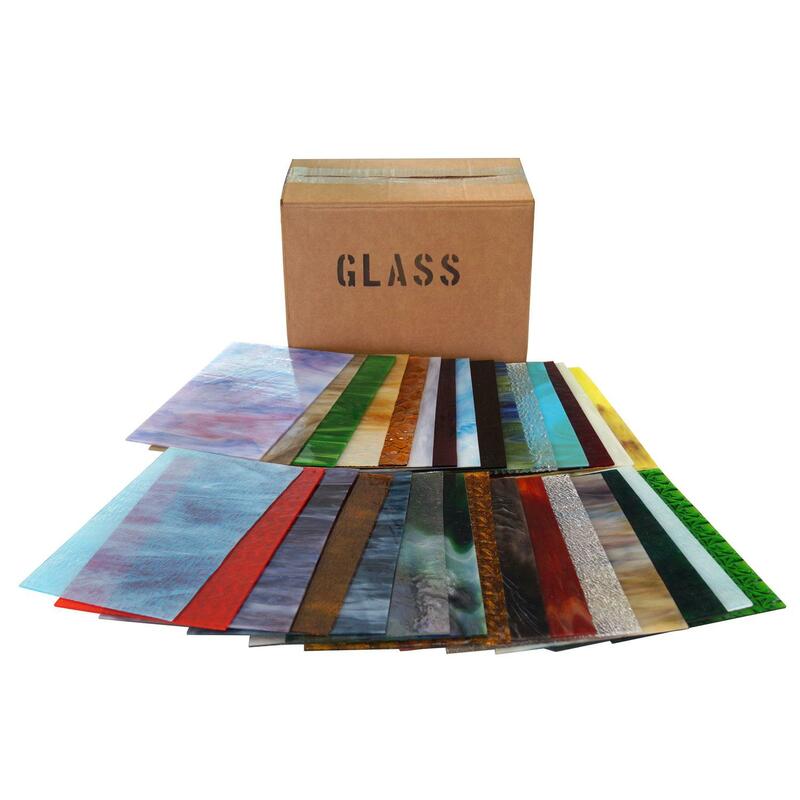 Factory Pack image is an example, glass may vary. Pros : Got the selection pictured and it is absolutely fabulous. Really great mix of colors and styles. Seems to be an absolute steal, price-wise. Cons : Three of the 30 sheets had what I would call more-than-minor damage. But it's really not that bad, and obviously to be expected with a larger shipment. There was plenty of packaging, but sometimes stuff happens. Can't ding it on stars for that. Other Thoughts : I will definitely be purchasing this pack again.